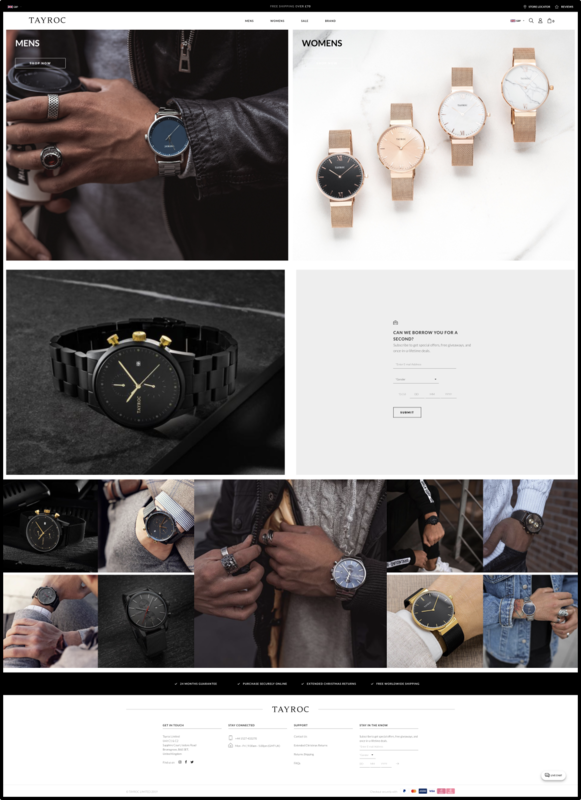 One of the fastest growing online fashion watch brands for men and women in the world, Tayroc is much more than just a brand: it’s a product of creative vision, passion and imagination. Using the highest quality materials, they create cutting edge watch designs, perfect for the fashion-conscious who appreciate elegant and contemporary styling. 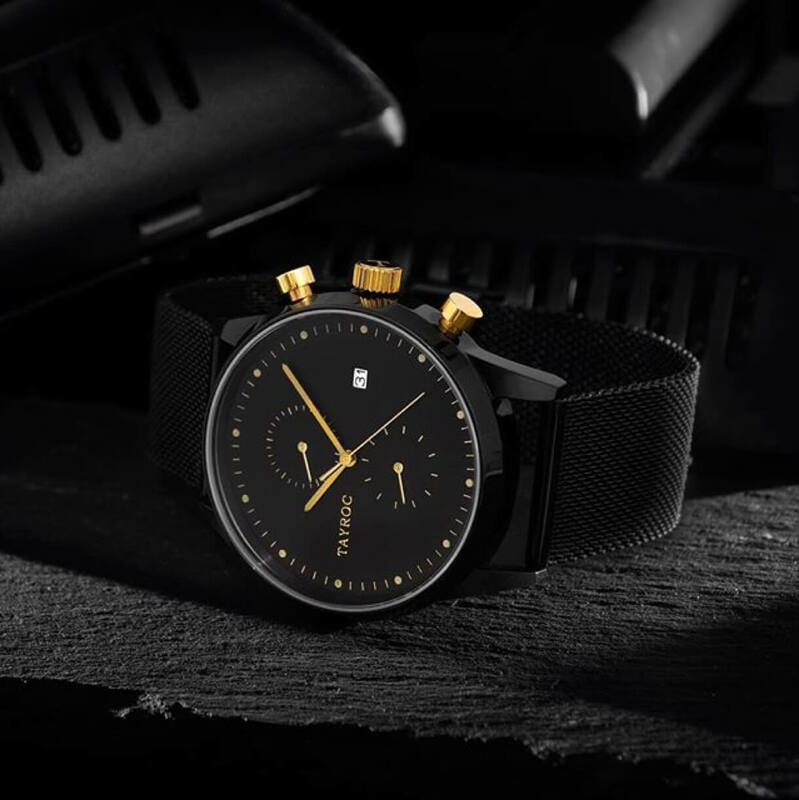 Tayroc is a self-funded, independent company, created by two sets of brothers with the aim of bringing affordable and stylish timepieces to the market. Established in 2015, the brand has grown year on year to become globally recognised and has been featured in the Huffington Post, Entrepreneur and Forbes. 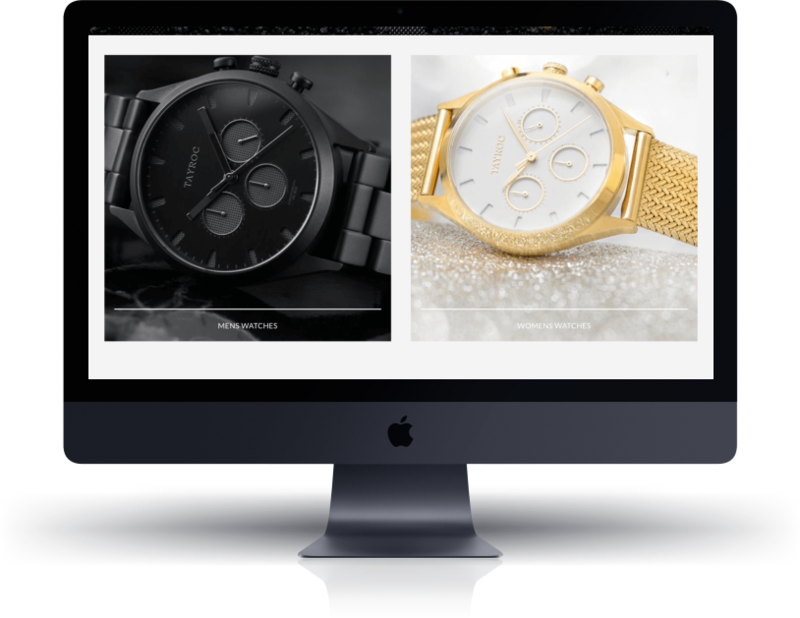 With over 100,000 watches sold in under three years, it became clear that Tayroc had outgrown its old website. They could have made do with what they already had, but they knew it was essential to constantly improve and not stand still in a competitive marketplace. 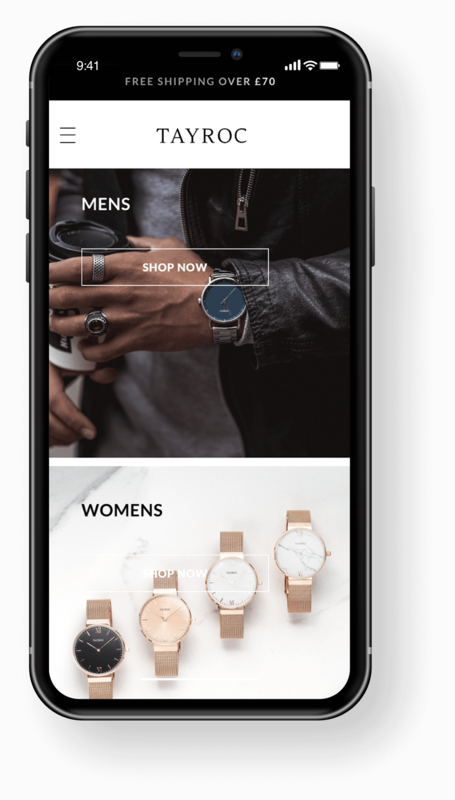 To achieve this, Tayroc sought an experienced Shopify Plus Partner, a company that would understand their business and provide them with the infrastructure to reinvent and take their business to the next level. We created a bespoke design using strong high resolution imagery. 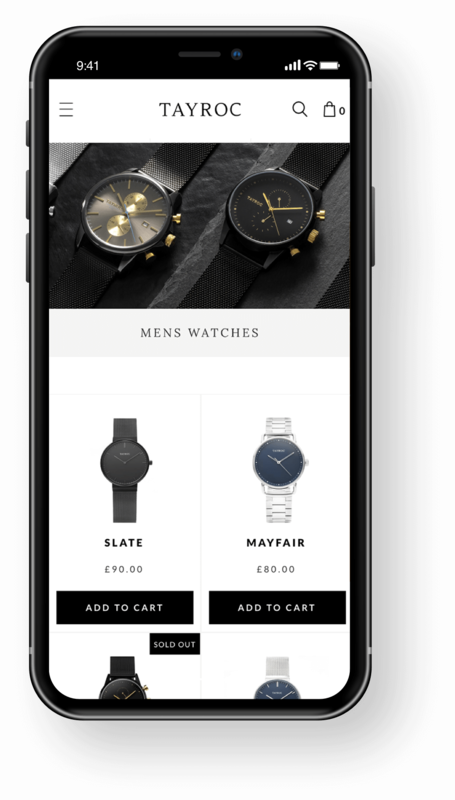 This, combined with a simple and intuitive user journey, created a frictionless path to purchase. As soon as a customer arrives, the homepage slider brings the focus to Tayroc’s showcase pieces. On clicking a product, a custom in cart ‘product quick view’ pops up allowing customers to effortlessly choose to move to the checkout stage. 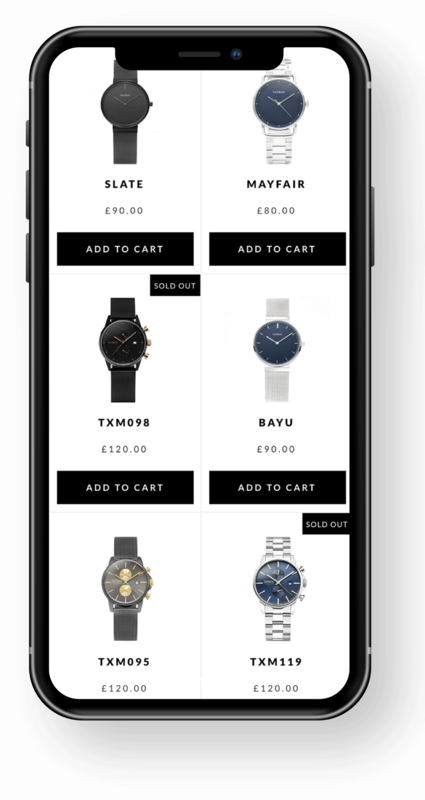 This is complemented with an embedded watch strap upsell custom feature, improving revenue opportunities by enabling customers to quickly and easily purchase additional straps for their watches.